When we were preparing our registries prior to the baby showers and arrival of our first child, a girl, we researched, researched, researched, and then chose as many gender neutral items as possible. Blues, greens, and yellows dominated the gear we were given (but boy did we dress that baby in pinks and purples! ), and now that our second child (and Lord willing, not the last) has come along in all his maleness, we are pretty glad that was the case! Aside from clothes and diapers, I haven't had to buy much for baby number 2, but here are 3 things that are new this time around that I absolutely love. 1. The Moby Wrap. This is the most comfortable baby carrier I've tried...and I've tried a lot. 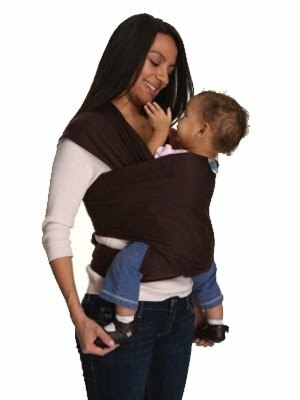 I own a ring sling, a pouch sling, a Snugli/Bjorn-style front carrier, and a backpack frame carrier. The Moby is like wearing a t-shirt, and it holds baby so close and snug. Bewildered citizens stop me everywhere I go with it to compliment it and ask how I've gotten baby in (or how I will get him out). Step by step illustrated directions are given for wrapping it and I can now have it ready to go in under a minute. I can assist my older child on the playground safely, without having to worry about baby falling out. In short, I wish I'd had it from the beginning. The only negatives? It's approximately a 7'x2' piece of fabric, and it's hard to perform the origami on yourself without it hitting the floor. It's also warm--just imagine a couple extra t-shirts on your torso. Cooler temperatures dominate most of the year where we live, so it hasn't been a deal breaker for me. Other perks? There are ways to wrap it to accommodate newborn twins or an older toddler, it fits most body types and sizes, it's machine washer and dryer safe, and it can provide breastfeeding cover. Retail is about $39.95 for these, but I got mine new on eBay for $29.95 including shipping. 2. 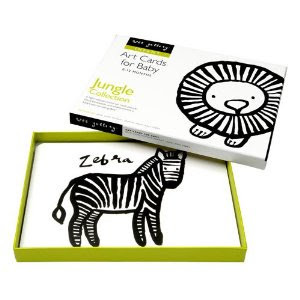 Art Cards for Baby by Wee Gallery. These are far from essential, but they are so beautiful. The bold black and white designs capture baby's attention and supposedly help with visual development. I sometimes sit baby on my lap and hold one or two of these out for him to look at while I read to his older sister, or put them on the floor in front of him during tummy time. They are sturdy and can be wiped clean of drool, but probably wouldn't hold up to teething. We have the Garden and Jungle collections. Retail is about $12.95 for 6 double sided cards (one side is a black image on white background, other side is reversed), so two sets conveniently add up to free shipping from Amazon. 3. 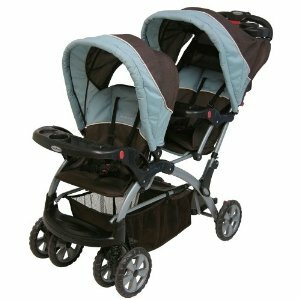 Baby Trend Sit N Stand Double Stroller. I love this stroller. It can accommodate two infant seats, or one infant seat and a toddler, or an infant seat or toddler in the front with a place for an older child to rest or stand in the back (this is the configuration we use most often). It rolls well, collapses easily, and folds up to fit in the trunks of our mid-size sedans. 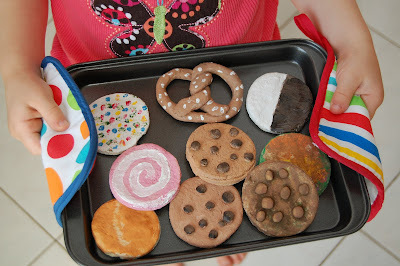 I like the parent tray a lot too. I've been using it regularly for 4 months with only one minor complaint--the safety straps meant to wrap around an infant seat in the front are a little snug to accommodate our Graco Snugride35, we had to fiddle the buckle a lot to get it to work. I'm sure it would be just fine with a Baby Trend infant seat and probably with other seats as well...the Snugride 35 is pretty large and wide. You can see all the configurations on the Baby Trend site. Retail is about $170 now, but Walmart.com used to stock it and we paid closer to $130 and that included shipping. Other colors might be available at lower price points.